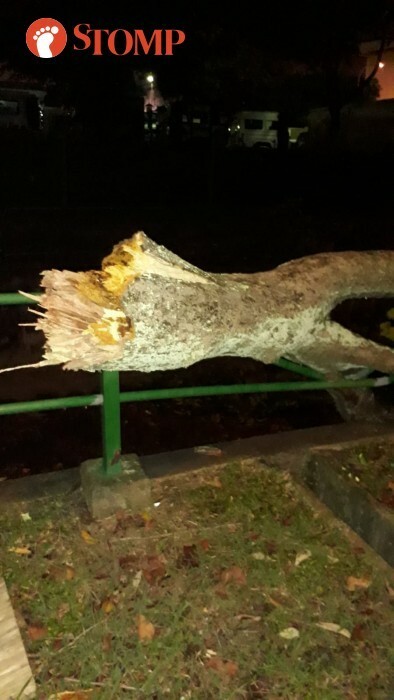 Stomper Jey was walking to work along Tuas Avenue 4 at about 6.15am this morning (Aug 8) when he saw at least four fallen trees littering the pavements and roads. 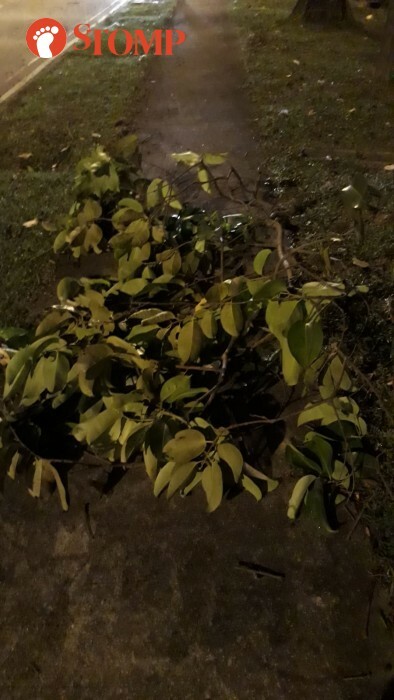 According to Jey, that was a strong wind around the Tuas area last night, which he believed was what caused the trees to fall. He said: "Last night was especially windy, some shoes that were outside my house were also blown away by the wind. 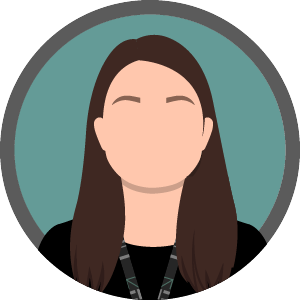 "Along the way, I saw a fallen tree on the pavement, another on the road, another on a railing, and another landed on a lorry. "The road was also littered with leaves, branches, and twigs." View more photos of the aftermath of the strong wind in the gallery.